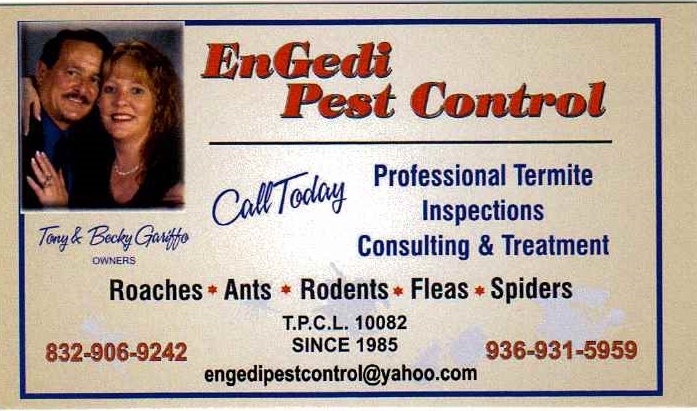 Engedi Pest Control values our customers taking care of all our customers needs and offering utmost satisfaction is our primary goal. Free Termite Inspections and Rodent Inspections with every service. Copyright 2010 Engedi Pest Control. All rights reserved.